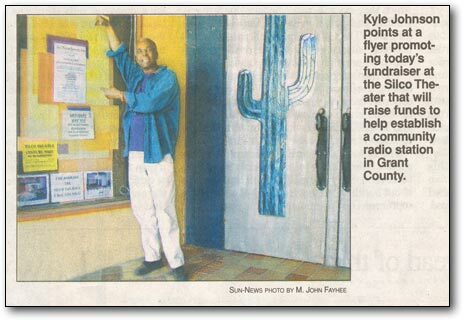 This article covers our first fundraising event as we geared up to apply for our FCC NC/E – Non-Commercial / Educational – full power FM license in the filing window of October 2007. In December 2010, just a few days before Christmas, we finally received our CP – Construction Permit, a major milestone and vindication of all our efforts since 2005. 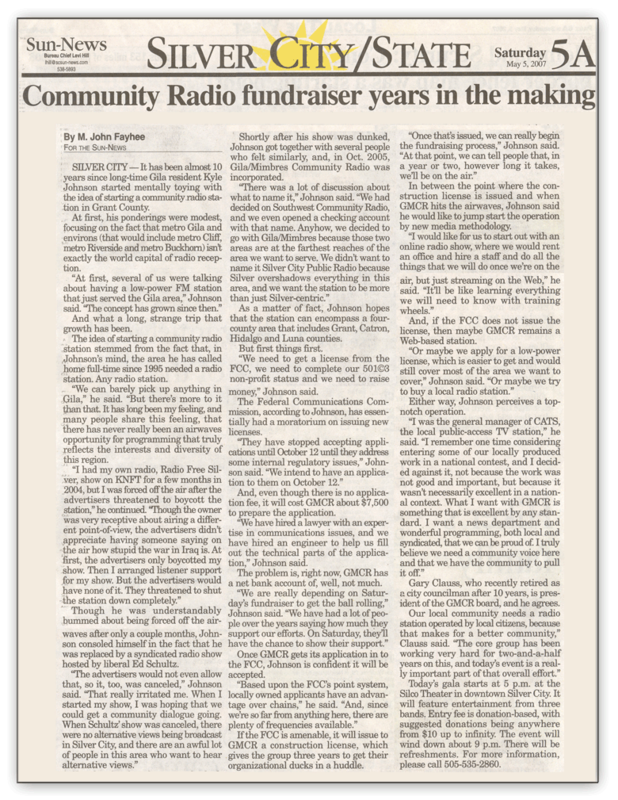 It also gives some background on the events that preceded the startup of GMCR, the media and social environment that we confronted at the time and the continuing need for independent, community based media. This entry was posted in GMCR in the Media. Bookmark the permalink.